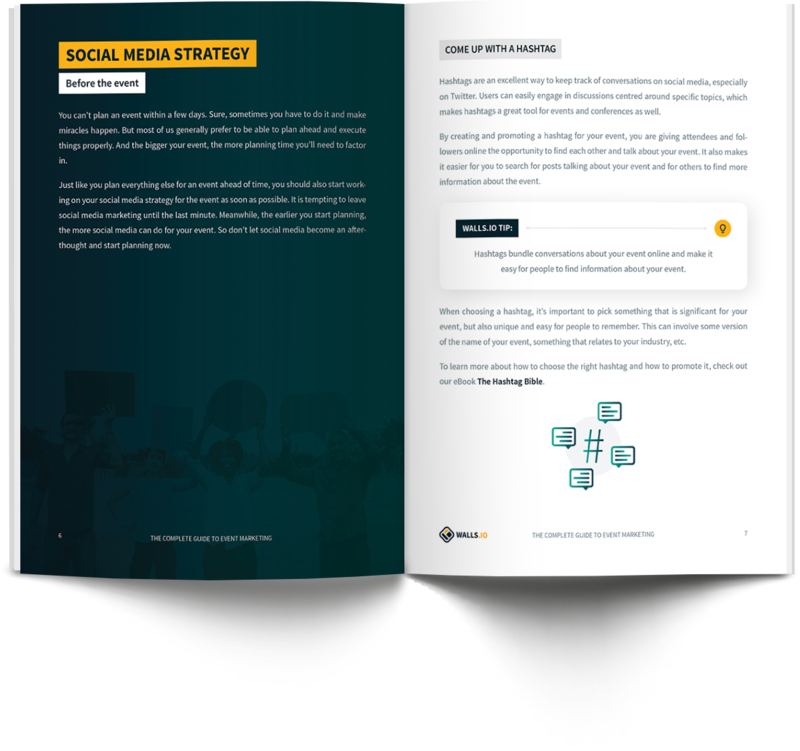 The best social media strategies currently working in digital marketing. Here's a selection of our social media eBooks. They're yours to read for free. Learn how to generate value from social media marketing and make it worth your time and resources. 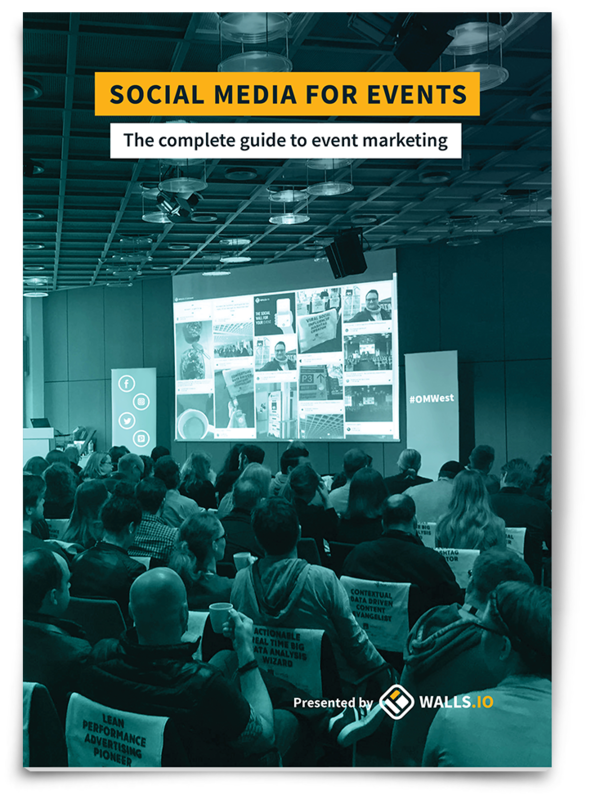 This eBook will guide you through the three stages of an event and introduce strategies you can implement before, during and after the event. It will help you make your event more interesting for attendees, speakers and organizers alike. 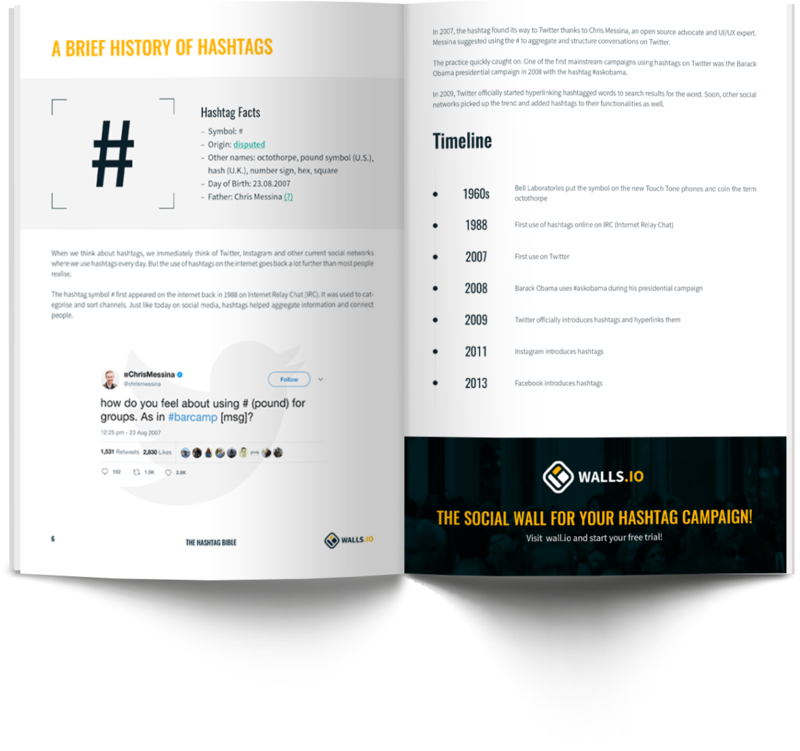 Hashtags are a fantastic marketing tool, helping brands gain reach and traction on social media. 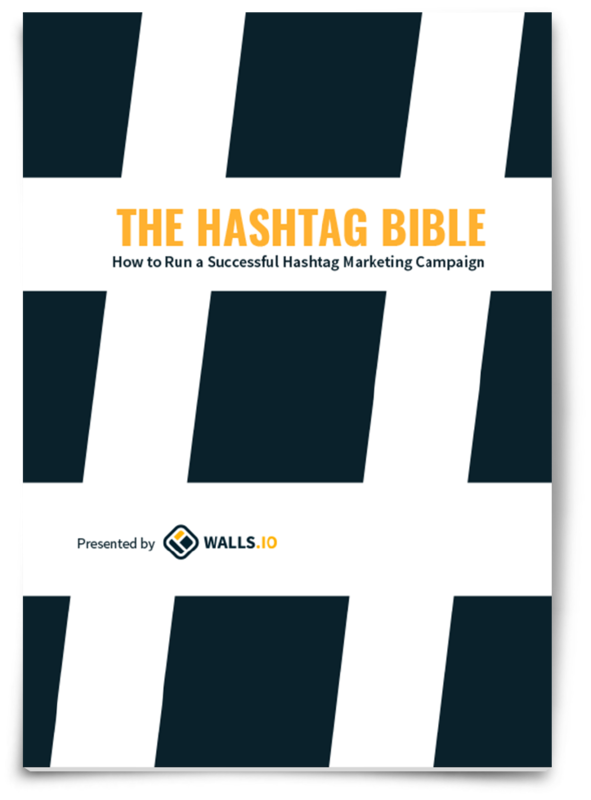 If you're planning to start a hashtag campaign, check out this guide and discover useful tips to lead you to success with your next hashtag campaign. Converting customers is hard enough, so why not use all the tools at your disposal? Have a look at what social commerce can do for you and your brand. Learn how you can discover, collect, curate and display your most valuable user-generated content to gain consumers’ trust for your brand. We selected 5 outstanding social media walls our customers have set up using Walls.io. We hope that they will serve as inspiration for you. These social media flavoured items would make excellent Christmas gifts. Or just put them under the tree for yourself; No one will know. But whether you get these gifts for yourself or someone else: There’s still time to order in time for the holidays!